Choroidal Effusion- Note the retinal folds (arrows) suggestive of choroidal effusion. Choroidal hemangioma, circumscribed (arrow) in a juxtafoveal position. Note the fresh hemorrhage and exudates at this pigmented lesions periphery. Choroidal melanoma - Juxtapapillary, now regressed with chorioretinal atrophy now 2 years after palladium-103 plaque radiation therapy. Choroidal melanoma - T1:AJCC small with subretinal fluid (arrow), orange pigment and thickness of 2 mm. Choroidal melanoma, broken through Bruch`s membrane as to expose intrinsic vascularity (arrow). Orange pigment and a localized retinal detachment are noted. Juxtapapillary variably pigmented choroidal melanoma. The melanoma related exudative retinal detachment is noted to form a demarcation line (arrow). This amelanotic (non-pigmented) choroidal melanoma was uncovered after surgical clearing of a vitreous hemorrhage (vitrectomy). Collar button shaped also called "mushroom shaped" with a small associated retinal detachment (arrow). Choroidal melanoma with orange pigment (arrows). Anterior location- Note that the pars plana raised over the tumor`s surface. Thyroid cancer metastatic to the juxtapapillary choroid of the eye. A clinical photograph of a choroidal metastasis from a primary breast cancer showing early response to external beam radiation therapy. Large, juxtapapillary with a small amount of orange pigment on its surface (arrow). Note the small exudative retinal detachment along the inferior margin of this suspicious choroidal nevus. These photographs (taken during the same session) demonstrate how lighting can affect the apparent size of a choroidal nevus. This suspicious choroidal nevus demonstrates thinning of the retinal pigment epithelium and subretinal fluid. This relatively benign appearing nevus has no evidence of orange pigment, subretinal fluid or appreciable thickness. The suspicious choroidal nevus and its secondary retinal detachment are both located in the macula. Thinning of Bruch`s Membrane and the retinal pigment epithelium (arrow). Choroidal osteoma - Fluorescein angiography demonstrates subretinal neovascularization at the macular margin. Choroidal osteoma with scalloped edges, pigment on surface and yellow coloration. Sentinel (Def- a thing that indicates the presence of disease) vessels overlying the melanoma (arrow). Ring melanoma, with 360 degrees of sentinel vessels, ectropion, and superior extrascleral extension. Ciliary body melanoma with iris displacement and extrascleral extension. Ciliary body melanoma with iris neovascularization, displacement of the lens and secondary glaucoma. Ciliary body melanoma as seen on gonioscopy- Note the tumor growing through the ciliary body band. Note the conjunctival blood vessels draped over the tumor. Ciliary body melanoma with extrascleral tumor extension, disinsertion of the iris root and flattening of the pupillary margin. Interferon retinopathy seen in a patient treated for metastatic choroidal melanoma. Note the updrawn pupil in this case of %22pseudomelanomatous%22 uveal prolapse. High frequency ultrasound was diagnostic. Abdominal Section: Note that the fusion of the black and white forms seen on CT with the color (metabolic activity seen on PET) reveals liver metastasis. Whole body PET/CT technology combines positron emission tomography (PET) with computed radiographic imaging (CT) to put FUNCTION and FORM on the same diagnostic page (PET/CT). Spiral computed tomography CT is used to generate anatomic images of the entire body. When suspicious areas or tumors are found, CT allows your doctor to see their size, shape and internal radiographic density. Though computed radiographic tomography (and magnetic resonance imaging – MRI) are excellent methods to determine if an abnormality exists, its shape and location, it cannot reveal if the abnormality (e.g. tumor, lesion) is metabolically active. In contrast, Positron Emission Tomography (PET) is used to determine if tissues or tumors are metabolically active. This is important, because metabolically active tumors are more likely to be malignant. In the case of imaging of malignant melanoma, PET imaging can differentiate between benign cysts and metastatic tumors in the liver (and other sites). PET requires a small injection of radioactive material (e.g. FDG – radioactive glucose) that is preferentially absorbed by malignant tumors. It is important to note that any glucose absorbing process (inflammations, infections, working muscles and excretory systems) will also concentrate glucose and appear as a “hot-spot” on PET. However, PET does not give you shape or location. That is why and additional CT is needed. It is the addition of the anatomic information provided by CT that allows the physician to differentiate between benign and malignant tumors. The PET/CT computers unify the PET information over the CT information, placing form and function on the same diagnostic page. Dr. Finger has shown the though the liver is the most common initial site of metastatic choroidal melanoma. It can occur in the bones (in 50% of cases). Clearly, a whole-body PET/CT scan from the top of the head to the bottom of the feet will include all the bones in the body. It is important to realized that not all metastases will “light-up” with PET and that sometimes a dedicated CT or MRI will offer better anatomic imaging. So don’t be surprised if there is suspicious area seen on PET/CT, your doctor may request an additional radiographic examination. We expect more melanoma specific radioactive materials (other than FDG – radioactive glucose) to be used for PET/CT. This will improve the specificity and sensitivity of this test. To see the research work being conducted thus far, visit the links below. Oblique sections demonstrate high reflectivity of the plaque’s posterior surface. 3D ultrasound has been used to image radioactive eye-plaques while they are sewn beneath their intraocular tumors. This technique was used to make sure radioactive eye plaques are properly positioned beneath its intraocular tumor. 3D ultrasound is particularly helpful when examining eyes with tumors, retinal detachment and calcifications (e.g. retinoblastoma). It is a relatively inexpensive way to measure the diameter of the orbital portion of the optic nerve. A coronal reconstruction of the plaque demonstrates that it has been placed next to the optic nerve. Due to its high reflectivity, the ophthalmic plaque casts a low reflective "acoustic shadow" into the orbit. A juxtapapillary plaque can be seen to "tilt" away from the optic nerve. Finger PT, Romero JM, Rosen RB, Iezzi R, Emery R, Berson A. Three-dimensional ultrasonography of choroidal melanoma.Localization of ophthalmic plaques. The Archives Ophthalmology 116:305-12, 1998. Appendages. Structures around the eye that support and surround it (e.g. the eye lids). Absence of normal sensation, usually a drug-induced decreased sensitivity to pain. A form of cell death where a programmed sequence of events leads to the elimination of cells without releasing harmful substances into the surrounding area. The possibility of improvement (e.g., saving sight and saving life) by use of a diagnostic method or treatment. The tendency to stay the same and not spread to other parts of the body. Personal preference not based on facts. The removal of tissue, cells or fluids from the body for examination or study. Implanted radiation. For example, radiation treatment delivered by a small plaque sewn to the outside of the eye (sclera). A general term for more than 100 diseases characterized by an abnormal uncontrolled growth of cells. Cancerous tumors can invade and destroy surrounding normal tissues and/or spread to other parts of the body. An x-ray technique that uses computerized reconstruction to form an image of the inside of the body (head, orbit, chest, abdomen). The use of topical or systemic drugs to treat cancer. Layer of normal blood vessels [vascular-layer] of the wall of the eye. The choroid is located between the retina and the sclera. A malignant tumor (cancer) of the vascular “choroidal” layer of the eye, made up of pigment producing cells (melanocytes). The piece of DNA that is responsible for the development of retinoblastoma. An organ located right behind and encircling the iris. Tumors can come from the vascular and non-vascular parts of the ciliary body. The ciliary body also makes fluid which fills the eye. The systematic investigation of the effects of specific treatments according to a formal research plan. Undesirable effect of a disease or its treatment that can change the outcome and may require additional treatment. Collaborative Ocular Melanoma Study. The largest prospective randomized clinical trial conducted to investigate choroidal melanoma. A thin membrane that covers most of the outside of the eyeball and inside the eyelids. Inflammation or infection of the thin membrane that covers most of the outside of the eyeball and inside the eyelids. The clear outer portion of the eye which covers the iris and admits light through the pupil. The destruction of tissue or tumor by the application of extreme cold. A machine which creates high-energy radiation beams. The ability to recognize 3-dimensional objects and their relative positions in space. A relatively inactive or resting condition in which some processes are slowed down or suspended. The act of calculating the amount of treatment (e.g. radiation). Removal of the eyeball, leaving the eye-muscles and other contents of the eye socket. A circular position that divides the front from the back portion of the eye. Removal of the portion of the eye that contains the tumor. A test where a vegetable dye is injected into a vein, allowed to circulate within the eye while photographs of the intraocular circulation are recorded. The center of the macular retina primarily responsible for both color vision and fine resolution (reading vision). A complete drug-induced absence of sensation and consciousness induced by an anesthesiologist during surgery. Congental or acquired tumor comprised of blood vessels. Loss of blood, either inside or outside the body. A device which is placed inside. For example, an implant is placed into the orbit to make up for the loss of the eyeball during enucleation surgery. The process where a patient learns about all the aspects of a medical treatment or clinical trial before agreeing to participate. This process should include a detailed explanation of the potential risks and benefits of all standard medical procedures and treatments. A immune system modulator used to treat conjunctival and corneal cancers. This chemotherapy drug is either used as an eye drop and/or injected around the tumor. Rice-sized radioactive sources which are typically purchased and glued within gold eye-plaques for use in treatment of intraocular tumors. A committee of people who typically reviews, approves or denies the right to conduct a scientific study. IRB’s assure that such studies are ethically and scientifically proper. To expose part of the body to diagnostic or therapeutic radiation. Located next to (touching) the fovea. Located next to (touching) the optic nerve. Irritation or inflammation of the cornea. Keratitis can be due to exposure, radiation, infection, or immune reaction. A very narrow, high intensity, light, which can burn tissue and/or join structures together. A clear structure behind the pupil, which helps to focus light onto the retina. The patient is awake but drugs have been given to decrease or stop sensation in the area of surgery. A dilated lymphatic channel, commonly filled with blood. The part of the retina responsible for the center of vision. When a tumor contains cancer cells that can spread and cause death. A tumor made up of pigment cells called melanocytes. The site where the cancer cells have spread to form a tumor. The spread of cancer cells from the original tumor to a distant site. A chemotherapy drug sometimes used to treat conjunctival and corneal cancers. The process when the cell (and its chromosomes) divides. The growth of new blood vessels into, around or within tissue. A specialist who makes and fits artificial eyes. A general medical doctor who specializes in cancer treatment. An ophthalmologist with special training in the diagnosis and management of patients with eye cancer. A physician with special training in the medical and surgical treatment of eye diseases. Where a laser imaging device is used to image the eye. It can be used to image the front of the eye, but for eye cancers it is most commonly used to observe the retina, choroid and sclera. The nerve that sends vision-messages between the brain and the eye. Used to describe when the optic nerve appears or functions abnormally. Collections of lipofuscin pigment typically seen on the surface of choroidal melanomas or suspicous choroidal nevi. A benign or malignant tumor behind or around the eye. An imaging study that can provide images of the whole body looking for evidence of cancer. The use of intense light (usually laser-beams) to destroy eye tissues, abnormal blood vessels, and/or tumors. The color of the body. Cells, which are colored and usually contain the natural pigment of the skin or eye, called melanin. A bowl-shaped device, which is, or can be made radioactive by adding seeds. An ophthalmic plaque is typically sewn to the wall of the eye in order to treat an underlying intraocular tumor. Plaque therapy is the most common treatment for choroidal melanoma. The original malignant tumor from which cells can spread to other parts of the body. What is most likely to happen over time. When the eye is (displaced) pushed forward from its normal position. A device that is used to replace the appearance and/or function of a removed organ. For example, the plastic eye that is placed beneath the eyelids to simulate a removed eye. Radiation made up of protons, which come out of a machine, travel through the eye into the tumor. The round opening in the iris which lets light into the eye and onto the retina. Energy waves which can be used to diagnose (e.g. chest x-rays) or treat diseases (e.g cancers). A physician with special training in the use of radiation to treat diseases. When large amounts of radiation cause vascular changes in the normal retina often resulting in decreased vision. The use of high-energy radiation to treat cancer and certain benign diseases. A bowl-shaped radiation device which can be used to treat eye cancers (e.g. melanomas and retinoblastomas). The process of assigning patients to two or more treatment options, where each patient has an equal chance of receiving each treatment. The nerve tissue which lines the inside of the eye and acts like the film inside a camera. A cancerous tumor of the retina which typically affects children under 5 years of age. Retinoblastoma is the most common malignancy to start within the eye of children. The possibility of loss or injury resulting from a condition or treatment. A blind-spot or defect in the field of vision. An unwanted effect of treatment. The accepted, recognized and commonly used form of therapy. What is typically used by most physicians treating a particular disease. The ability to see objects with depth perception from both eyes. The tendency to induce birth defects. A mass of tissue characterized by thickness or volume. The use of sound waves to examine the eye and orbit. Ultrasonography is commonly used to measure the size of tumors. The complete area of vision that includes what is seen above, below, to the sides and in the center. The jelly-like substance which fills most of the normal eye. Small pieces of tumor can break off “seed” and float around inside the eye. A nevus (a benign tumor) is commonly found on the skin of other parts of the human body. A nevus can also occur on the eyelid skin. These tumors are usually pigmented and have thickness. Note the relatively smooth surface, no eyelash loss, a long history of its presence, and no history of recent growth. Nevi can be melanotic “dark” like this one, or amelanotic “light-colored.” *Note* Some nevi grow during puberty. 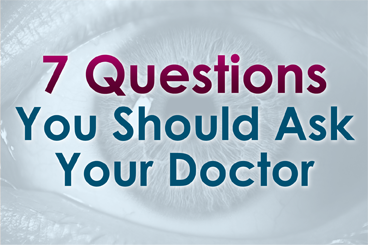 Patients typically notice a dark spot on their eyelid that is thickened. It usually does not cause loss of eyelashes and though it can grow, most do not. When rapid (over months) growth, loss of eyelashes or discoloration of the nevus is noted, malignant melanoma is suspected. Most eyelid nevi can be diagnosed by clinical examination. A baseline photograph should be obtained for comparison with future examinations. Very suspicious or rapidly growing eyelid nevi should be biopsied to rule out melanoma. It is important to note that eyelid nevi can slowly grow, and that change is particularly common during puberty. Eyelid nevi are benign tumors. They can be photographed and followed for evidence of change or growth prior to consideration of biopsy or treatment. Large eyelid nevi can be a cosmetic problem that can be repaired by ophthalmic plastic surgery. The benign eyelid tumor hydrocystoma comes from the Latin hydro, meaning fluid, and cystoma, meaning cyst or sac. A hydrocystic thickening is an epithelial-lined serous cyst (within the skin or soft tissues). Sometimes it looks like they are translucent. An intradermal epithelial-lined serous cyst. Hydrocystomas most commonly occur on the eyelids. They typically are the same color as eyelid skin, rounded and soft to the touch. They are slow growing, may cause misdirection but not loss of eyelashes. Hydrocystoma is a benign tumor that can be photographed and followed for evidence of growth. High-frequency ultrasound can demonstrate that the tumor is filled with fluid and confirm the diagnosis. Excision is typically performed if growth is documented, basal cell or other eyelid cancer is suspected and for cosmetic reasons. During removal, your surgeon will try and keep the cyst intact. Removing the whole tumor will help keep it from recurring. These tumors typically grow and then spontaneously decrease in size. Treatment is indicated for the prevention of amblyopia (loss of vision) and strabismus (misdirected eyes). These tumors naturally grow and then spontaneously decrease in size. Therefore, if the tumor is not harming the child, it can be observed untreated for spontaneous regression. Capillary hemangiomas are typically found at birth. They will grow during the first decade (10 years) and most will shrink (involute). If they involve the eyelids, they can cover the eye and cause loss of vision (amblyopia). It is very important that children with capillary hemangiomas be seen by a pediatric ophthalmologist and eye cancer specialist immediately. Capillary hemangioma is diagnosed by clinical examination. It has a typical appearance and biopsy is rarely needed. It appears as a reddish tumor or mass beneath the skin. The eye care specialist will order a radiographic scan (MRI or CT) to see how deep the tumor extends into the orbit (around the eye). The child’s pediatrician should be advised and the child inspected for hemangiomas on other parts of the body. Observation for spontaneous resolution is commonly performed. If the tumor is blocking the eye and vision causing amblyopia, then it can be treated with an oral beta-blocker medication (e.g. propranolol) or injected with a steroid solution. This will shrink the tumor in an effort to uncover the eye. Surgery may be required to remove very large tumors. The child’s pediatric ophthalmologist may suggest that the other “good” eye be periodically covered with a patch to strengthen the tumor affected eye and prevent amblyopia-related vision loss.